The Intuitive Anatomy Class is an in-depth journey of discovery that takes ThetaHealing™ Practitioners through the Body Intuitive, allowing them to intimately and intuitively meet the organs and systems. The student will discover the emotions and Beliefs that are inherent in the body. This class offers healing to the bodies systems through the release of accumulated energetic emotions. We then explore the Beliefs held in each system and their relationships to physical “dis-ease”. Students have ample time for self-healing and work with other class members to clear limiting Beliefs. This is the class for the serious ThetaHealing™ Practitioners who desire to become highly skilled at scanning and healing within the physical body using ThetaHealing™. 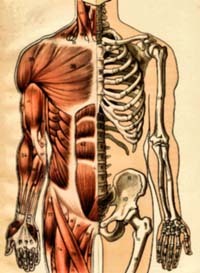 This class offers practical information on physical anatomy with movies shown each day from Body Story by Discovery. introduce the student to the magic of the human body. learn that disease and disorders go hand in hand with the demonstration of emotions. come to the realization that emotions are signals that the body is out of balance. discover new emotional Programs and Beliefs that are attached to every body system. understand how much space is taken up by negative emotions. know the specific Beliefs that come with diseases. practice seeing into the body with body scans. honor the client’s free agency. The clearer students become, the easier it is for them to work on their clients, and themselves. In each system, the student will encounter emotions, challenges and issues that they’ve carried for a very long time. This class is designed for the Creator to groom healers. The friendships that come out of this class can be forever. I am from Delhi, India. I want to do intuitive anatomy course..
Its been a week since I completed my basic and advanced DNA…. Please elaborate how soon can I do that and from where in Delhi , India. Look for posted courses in Delhi – There are probably teachers in your area who can deliver this material. Interested in any info that can help me learn more about Theta healing. Is there any theta course conducted in Malaysia?I am interested to learn.I live in Malaysia. Sign up NOW for a meditation that will change your life!